That's not all, though. The Canadian developers are getting even more ambitious this time around and revealed a new gameplay mode, currently titled "Codename: Railjack," where you and up to three buddies will all pilot a ship together as you engage in some real-time combat against A.I. enemies. What's more, you'll be able to hop into this mode directly from the Venusian landscape. However, don't get too excited just yet. While the "Fortuna" update is planned for a 2018 release (for the PC, at least), the Railjack mode won't be a part of that. It'll arrive sometime later. The Orb Vallis, The New Open World -- Building on the success of Plains of Eidolon's earthen Landscape, The Orb Vallis is Digital Extremes' massive new Landscape. Volatile, mercurial clouds of blue and orange loom over a sci-fi terrain populated with seascape flora, giant mushrooms, alien rock formations, rare creatures, and more. Solaris United and Fortuna -- The cyborg Faction Solaris United live in the Blade-Runner-esque Debt-Internment Colony, Fortuna. Similar to the gathering bazaars of Cetus in Plains of Eidolon, Fortuna is an underground hub city that serves as a factory to clean coolant rivers and doubles as a trading hub for the region. New Combat Experiences -- The Corpus occupiers, led by the profit-obsessed Nef Anyo, bring new technology and warriors to bear. Alongside new Corpus ground troop variants, monstrous new Spider Bot enemies of all shapes and sizes will challenge players to face their fears when they explore The Orb Vallis and face-off with the prophet of profit. Ride a Hoverboard -- Blaze across the wide open Venusian landscape by piloting the Bondi K-Drive. Call up this handy customizable hoverboard and quickly glide, jump, and trick across a variety of terrain. Join the Conservation Movement -- Switch your mindset from blast-happy mercenary to friendly savior. The strange, wonderful animals of the Vallis are going extinct. Explore the new world of Fortuna and apply your new skills to track, lure, and capture them for relocation. You can find more details and videos covering "Fortuna" and "Railjack" over on the official website. Finally, Digital Extremes is partnering up with Panic Button to bring Warframe to the Nintendo Switch. No release window was given, but hey! Space ninjas on the go! 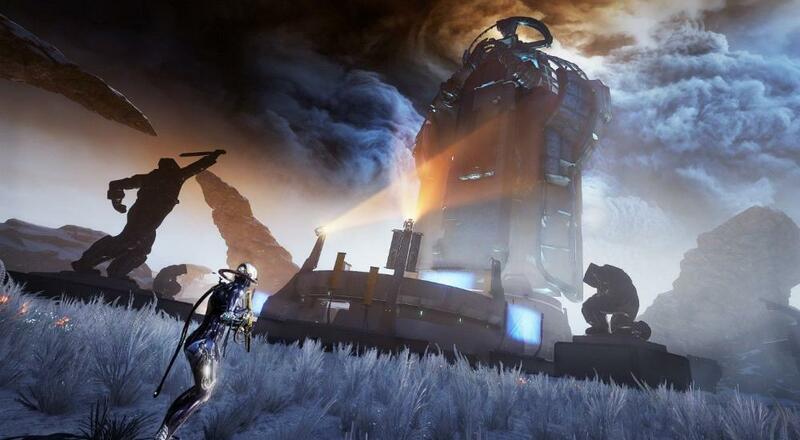 Warframe is a free-to-play title currently available on PC, PlayStation 4, and Xbox One. Four player online co-op is supported across a variety of missions. Page created in 0.4448 seconds.